SPI Borescopes is dedicated to providing the best quality borescopes, endoscopes, industrial cameras and more to the Remote Visual Inspection Industry at affordable prices unmatched by our competitors. We are here to make your inspection processes more EFFICIENT, more EFFECTIVE and to put it simply: BETTER. We pride ourselves in providing quality Remote Visual Inspection tools engineering professionals around the world need so they can save time, energy, and money in their day to day maintenance and repair operations. Our exceptional customer service and knowledgeable team will help you find the right articulating video borescope for any of your inspection needs. Whether you work in aviation, energy and power generation, oil and gas, the armed forces, or computer engineering we have you covered. Here at SPI Borescopes we specialize in designing Remote Visual Inspection technology through a comprehensive manufacturing process controlling every step from Research and Development to Marketing and Distribution. We focus on maximizing technological breakthroughs for our customers while providing the efficiency needed to keep prices as low as possible. Each articulating video borescope design is carefully chosen to provide customers with a user-friendly interface, crystal-clear displays, and comfortable handling. Our borescopes take the hassle and confusion out of inspecting hard to reach places. Extended battery life and mobility of our scopes sets us apart from other mid-range borescopes on the market. At SPI Borescopes our mission is to provide our clients with the high quality technology they need at the best prices in the industry. We understand that the price of a borescope is not just how much you pay to acquire it, but it also includes the cost of ownership and the time it takes to make an educated decision. Our team is dedicated to making your buying process as simple as possible through knowledgeable staff and our free mail-out demonstration program. We are only a phone call or email away to answer questions, provide training, and streamline any repair or warranty issues should they ever arise. At SPI our goal is not to make a sale, but to develop a long-term, mutually beneficial relationship. Stay up to date with the newest developments at SPI as well as news about industries we service and follow us on social media. During the Research and Development phase of engineering, it became clear to us that the video borescope industry was lacking a product with high-end technology at an affordable price. Today, SPI Borescopes has solved this issue by producing our high-quality articulating video borescopes with a fair price tag. No longer will the industry force the consumer to choose between great technology at extremely high prices or poor technology for very low prices. Now, there is a better option. Through this mindset, our borescopes have helped companies improve their inspection, maintenance, and repair processes world wide. 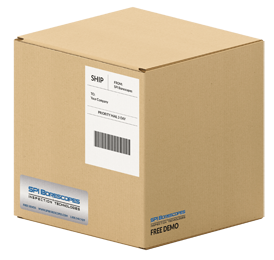 Whether you need articulation, side-view attachments, flexible, rigid, or even a waterproof borescope, SPI has the right tool at the right price for you.